We are excited about our PTO sponsored Apex Fun Run planned for this Thursday, May 22, 2014. It is expected to be a beautiful day to get outside, participate in the fun run, and raise funds for our PTO. 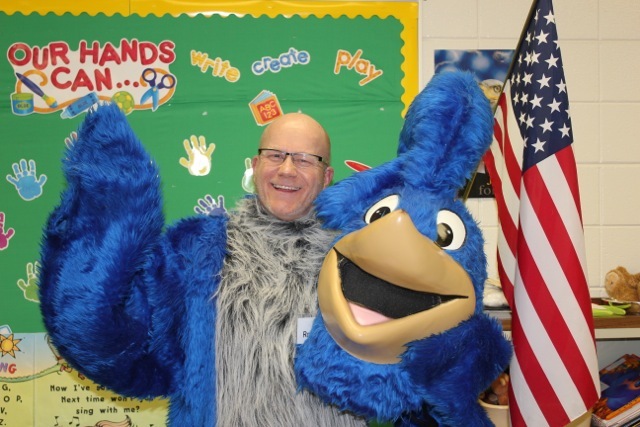 We have conducted a spring fun run for a number of years but this year we are thrilled to partner with Apex Fun Fun to not only raise funds for our PTO but also to build leaders among our students. Three Apex leaders, Turbo TJ, Epic Eric, and Cart-wheel Cara, have been working with us for two weeks to conduct team huddles in every class each day to build leaders and promote POWER Up. We have been learning about each letter of the word POWER and how that translates to Positive Attitude, Others First, Work Together, Exercise, and Resposnibility. 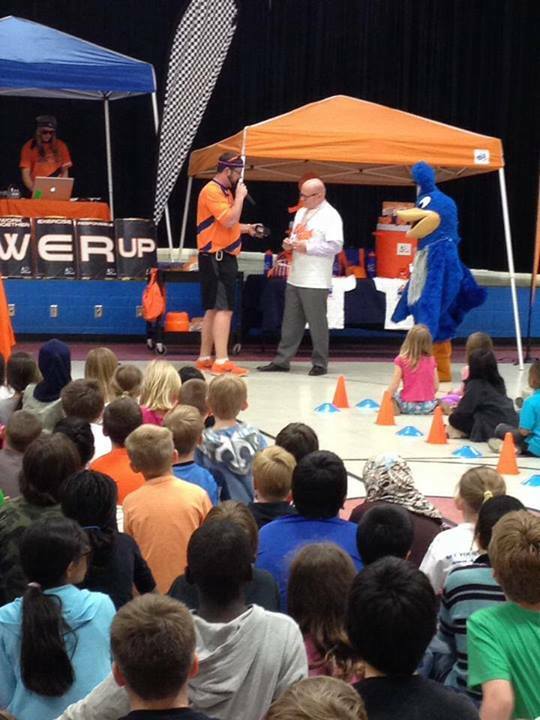 Students have been energized to support our PTO and empower themselves as leaders. Look for photos from the fun run day later this week! This week, May 5-9, 2014, is PTA Teacher Appreciation Week. During the year there are other days that recognize specific school employees or groups (ESPs, Principals, Administrative Assistants, Nurses, etc.) but our PTO uses this week to honor all teachers and school employees (who are teachers in their own way) with a specific week by decorating the lounge and treating staff members. …developing positive relationships with students and families. …modeling respect, learning, and responsibility for all students. …caring about and for each other. …holding students to high academic standards. …smiling, laughing, and having fun with each other and students. …going above and beyond by attending, volunteering, and supporting school events and activities. …thinking about what is best for students with our practices, policies, and procedures. 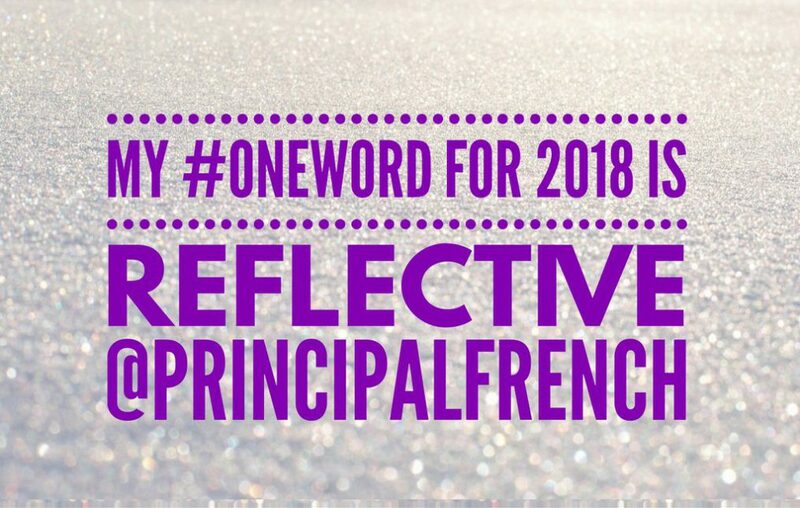 …reflecting in order to monitor and adjust teaching and instruction. …the professionalism they demonstrate each and every day. I know one week isn’t enough to thank teachers and school staff members for their hard work, dedication, commitment, and caring but I hope this week makes you feel valued and uplifted. On Saturday, April 26, 2014, I participated in my first EdCamp. 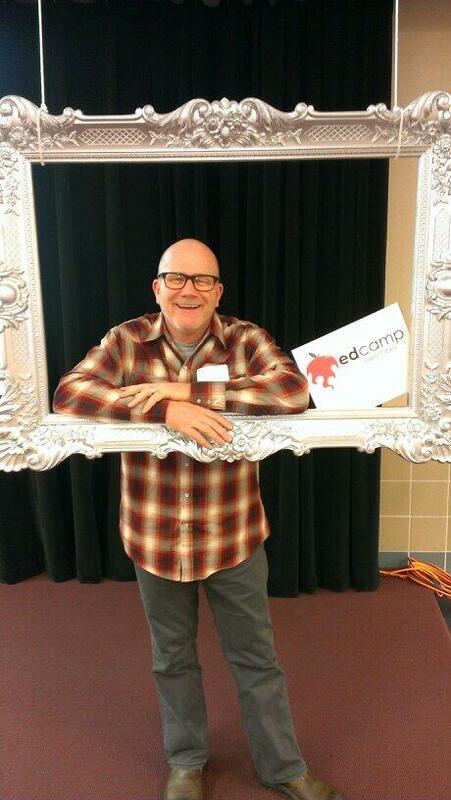 I attended EdCampTC sponsored by the Burnsville School District. EdCamp is a fairly recent phenomena sweeping the nation. The first EdCamp was held in May 2010 in Philadelphia. Since that time, there have been over 200 EdCamp events held throughout the world. An EdCamp is a user-generated conference – commonly referred to as an “unconference”. EdCamps are designed to provide participant-driven professional development for K-12 educators. Since this was my first EdCamp, I didn’t know what to expect but I was pleasantly surprised at how much I enjoyed my day and I am looking forward to my next EdCamp. The participants created a schedule of events throughout the day that were led and facilitated by those in attendance – no speakers, no presenters, just the experts in the room. I attended four sessions. One was on the concept new to me called “genius hour.” This is where you allow students some free time to explore their interests and passions. The second session I learned what makes for successful PLCs, Professional learning Communities. The third session had a lot of participants and the discussion was about leading in this digital age. I learned about the pillars of digital leadership: communication, public relations, branding, professional growth and development, student engagement and learning, opportunity, and learning environment and spaces. The last session of the day I helped facilitate the discussion around using Twitter to engage staff members. I enjoyed attending my first EdCamp tremendously. I enjoyed being validated for what I am doing to lead in my school and I gained so many ideas and practices from others more experienced that I am. I am already thinking about ways to use this EdCamp format with my staff members next school year and I will certainly be seeking out other EdCamps to learn from others. For those educators who have never attended an EdCamp, put this on your “must do” list.